Can’t wait for fresh produce? Me neither. Here is a list of farmer’s markets in the Arlington, Va area. 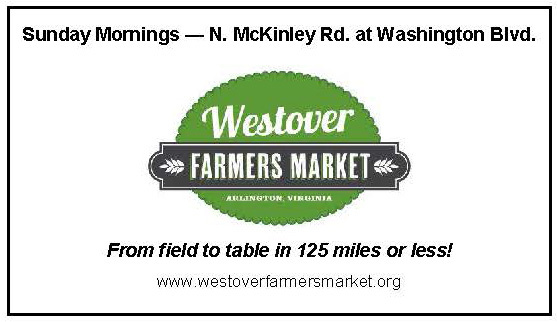 Columbia Pike and Westover (sponsored by your’s truly…so of couse I’m a bit biased) operate all year round with winter veggies as well as hand crafted teas, soaps, breads and other non-produce goodies. N. Courthouse Road and N. 14th St. 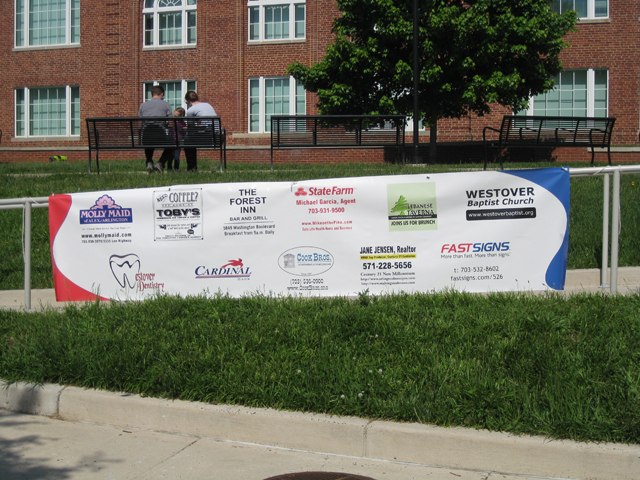 This is the sponsor’s sign at Westover. If you stop by the sponsors table you can pick up a free gift from me.